M. Tamer Özsu is Professor of Computer Science at the David R. Cheriton School of Computer Science and Associate Dean (Research) at the Faculty of Mathematics of the University of Waterloo. He was the Director of the Cheriton School of Computer Science from January 2007 to June 2010. Previously he was with the Department of Computing Science of the University of Alberta (1984 – 2000). His PhD is from the Ohio State University. His research is in data management focusing on large-scale data distribution and management of non-traditional data. His publications include the book Principles of Distributed Database Systems (with Patrick Valduriez), which is now in its third edition. He has also edited, with Ling Liu, the Encyclopedia of Database Systems. 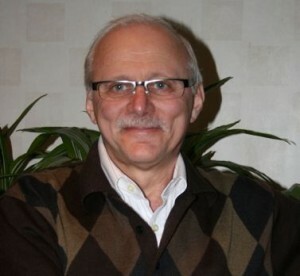 He is the Founding Editor-in-Chief of ACM Books, and was the Founding Editor-in-Chief of Synthesis Lectures in Computer Science (2009—2013). He has served as the Program Chair of all three major database conferences (VLDB – 2004; ICDE – 2007; SIGMOD – 2014) and has served on many Technical Program Committees. He is on the editorial boards of three journals, and two book Series. He is a Fellow of the Association for Computing Machinery (ACM), and of the Institute of Electrical and Electronics Engineers (IEEE), an elected member of the Turkish Academy of Science, and members of Sigma Xi and American Association for the Advancement of Science. He has held a University Research Chair (2004-2011) and a Faculty Research Fellowship (2000 – 2003), and currently holds the Cheriton Faculty Fellowship (2013-2016) at the University of Waterloo, and a McCalla Research Professorship (1993-1994) at the University of Alberta. He was awarded the ACM SIGMOD Contributions Award in 2006, and The Ohio State University College of Engineering Distinguished Alumnus Award in 2008. Dr. Özsu serves on the Scientific Advisory Board of National Institute of Informatics (NII) of Japan and the Advisory Board of School of Engineering of Hong Kong University of Science and Technology. He serves on the ACM Publications Board and has previously served on the Board of VLDB Endowment.